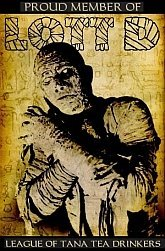 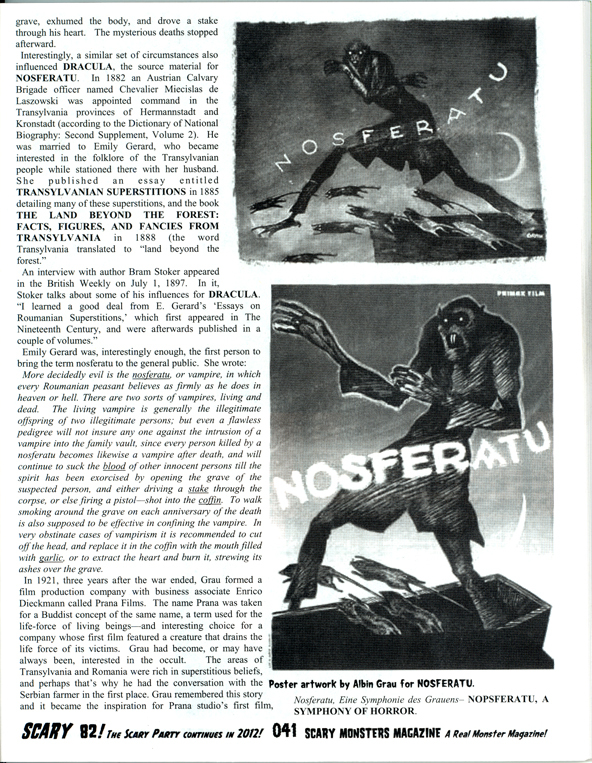 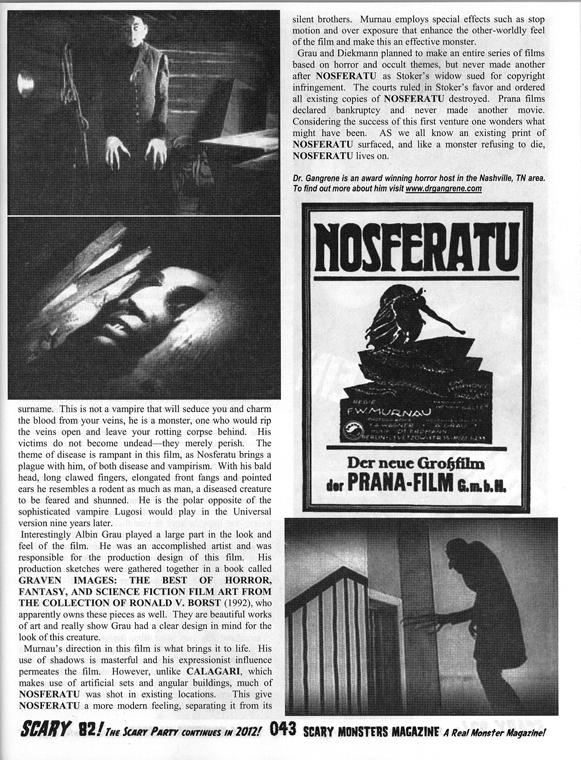 Below is my most recent Scary Monsters magazine article, published in issue #82. 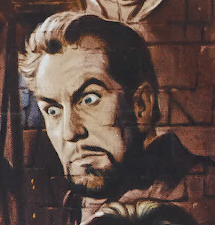 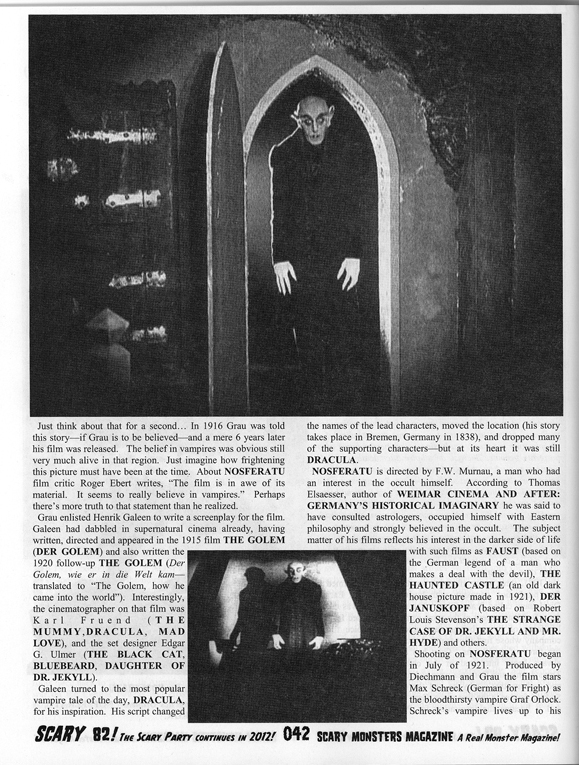 It is called "The Frightening Roots of Nosferatu," and is a tribute to the film during the 90th anniversary of this German Expressionist classic. 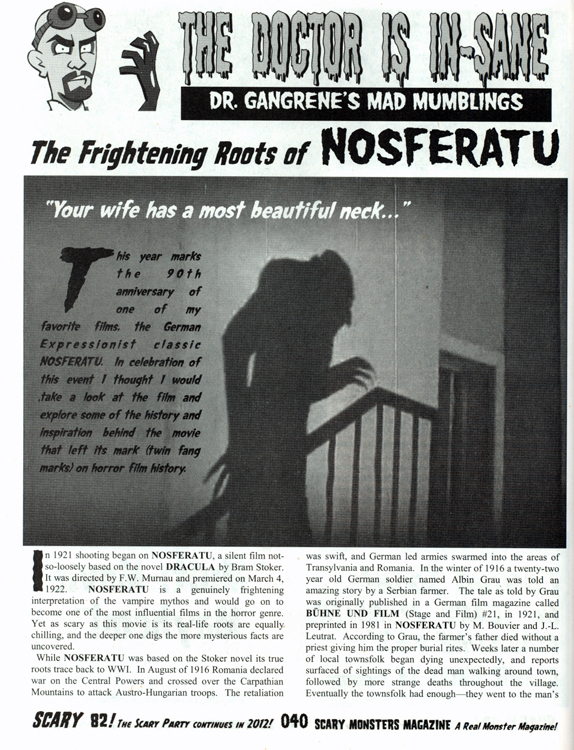 I take a look at the roots of Nosferatu, and in particular the occult ties to its creators.